Today’s Flash Back Friday comes from Episode 197, originally published in April 2015. 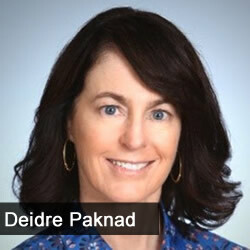 CEO and co-founder of Workboard Deidre Paknad joins Jason Hartman on Speaking of Wealth show. Today’s episode has Deidre explains and talk about her Workboard app which automatically helps line managers managed their team priorities, goals, reports and the metrics of the company into a simple to-do list as well as how to be a more efficient and better manager with their teams.